The Eurofighter program started in 1992. The aircraft is a canard delta with a maximum take-off weight of 17,000kg, a wing area of 50sq.m, and two turbofans giving a total thrust of l80kN. The prototypes was to have either Turbo-Union RB.199 or General Electric F404 engines, but production aircraft were to be powered by Eurojet EJ.200s, which was being developed by a consortium consisting of Rolls-Royce, Fiat, MTU, and SENER. A multimode pulse-Doppler radar fitted, and armament was to include an internal gun plus AIM-120 Amraam and AIM-132 Asraam. The Eurofighter will be optimised for air-to-air roles but will have a secondary air-to-surface capability. The design features a delta wing design with canards set well forward of the wing. These features combined with two powerful EJ200 engines and digital flight control systems produce a highly agile fighter. 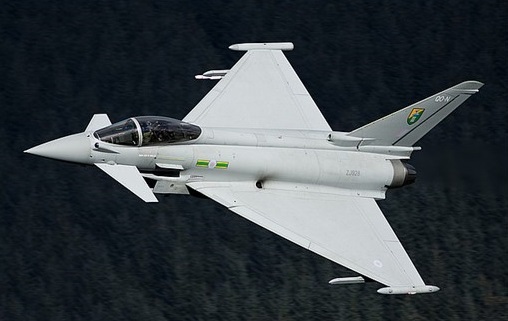 The Eurofighter design has been named Typhoon by the Royal Air Force, dropping the EF2000 project name. Spain and Italy and the industry have taken on the name Typhoon as well. The first prototype DA.1 flew in Germany on 27 March 1994. Seven development aircraft (DA) were built, as well as several Instrumented Production Aircraft for evaluation, weapons and systems testing. Tranche 1 production aircraft are used primarily for evaluation, instructor and pilot conversion training, but have also entered operation attending large-scale exercises and taking on the air defense role. A total of 620 aircraft have been ordered by the participating countries. Delivered aircraft were being upgraded to the latest Tranche 1 production standard, Block 5, to bring all Tranche 1 aircraft to a near-common standard, including limited air-to-ground capability with a selection of precision guided weapons. The RAF is primarily replacing the Tornano F.3 air defence fighters, but has also retired its remaining Jaguar fighter-bombers. The Eurofighters for the Luftwaffe will replace its fleet of F-4F Phantom IIs (and fill the gap left by the retirement of the MiG-29 Fulcrum-C). Italy has retired its last F-104ASA Starfighters and returned the leased RAF Tornado F.3s. However because of the delays in the program, it had to lease ex-USAF F-16 ADF to fill the gap. It has equipped its third wing with the Typhoon. Spain has equipped its first squadron with the Eurofighter, but the Mirage F1 aircraft have been put through a modernisation program to keep them in service for some years. 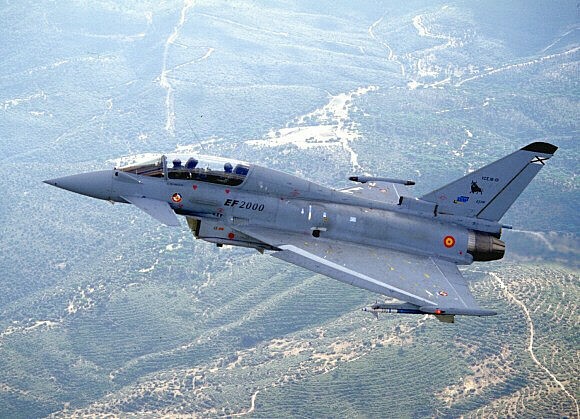 Although Greece was the first to sign a contract for delivery of a first batch of Eurofighters, having initially ordered 60 aircraft with an option for 30 more. However the contract was cancelled and any order would be postponed until after the Olympic Games. It remains to be seen if Greece would renew the Eurofighter contract. 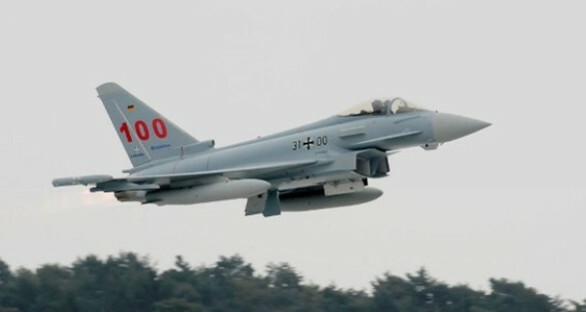 Austria ordered 18 Eurofighter Typhoons, with an option for six more, the contract was revised in 2007 and the number was reduced to 15 aircraft of Tranche 1 standard. .
Saudi Arabia signed a declaration of understanding with regards to the purchase of 24 Typhoons in Trache 2 standard to replace its Tornado ADV fleet. Follow-on is expected as it is reported Saudi Arabia has a requirement for at least 72 Typhoons. Engines: 2 x Eurojet EJ.200 turbofans, total thrust of l80kN.